Much has been written about snakes in dreams because their appearance is very common. The snake can have many meanings, and the dreamer needs to sift through the various possibilities. 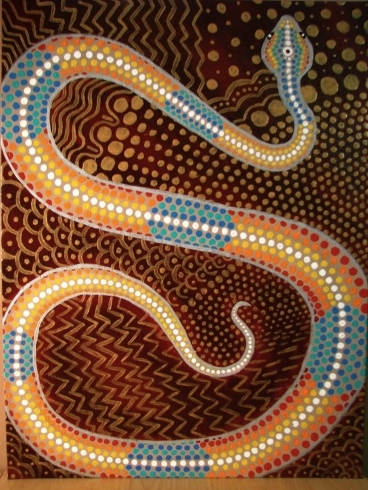 From a health perspective, the snake is often portrayed in mythology as a healing animal perhaps because a snake’s venom could be an antidote for certain ailments or the bite of a snake. Snakes were kept as sacred symbols in the aesclepian temples of ancient Greece for of their reputed healing powers. They were considered a symbol for the Greek god of healing, Aesclepius. The long association of snakes with healing can be seen today in the caduceus, a common symbol for the medical profession, which is made up of two snakes wrapped around a pole. So let your snake dreams grab your attention, just as finding a snake in front of you would, especially if you dream of snakes coming to you or you are being bitten by a snake. The bite and release of venom can represent a transfer of healing power. If you have a dream of this sort, or dream of being bitten by any animal such as a spider, dog or bear, you should pay attention. It may be a symbol of this animal’s unique healing power or wisdom coming to you if it doesn’t have any association with a bite you may have received in waking life. The snake is also a common symbol for kundalini, the powerful healing energy latent in everyone’s body at all times which, according to Hindu legend, releases its power in small amounts to keep us all healthy. It can be activated in larger amounts to bring significant healing and transformation at all levels of the mind, body and spirit. The symbol of a yellow or golden snake coming to or wrapping itself around the dreamer is common in dreams for persons experiencing kundalini releases. The following is a powerful and hard-to-forget dream I had in 2003 which presaged my own kundalini event in 2007. Two huge golden snakes are entwined about my waist and abdomen. Even though this dream was full of numinous energy and the snakes literally glowed, at the time I had no idea what this dream meant. I only knew it was so important it shocked me awake. These snakes were as big as pythons. I wrote the dream down. Only after my kundalini release in 2007 did this dream make sense. That’s when I received much healing in the second and third chakras which are located in the areas that the snakes coiled. My dreams seemed to be telling me that I had literally become the caduceus! My body was the pole and two snakes were wrapped around me. I don’t think it was an accident that the gift to work with energy healing came along with this kundalini experience. Other symbols that portray healing kundalini energy are lightning bolts, volcanic eruptions and the number 66. As mentioned before, it helps to have a good dream dictionary which gives many possible meanings for a symbol rather than a cut-and-dry single definition. Get to know your snakes. It may save your life! To live fully is to be blessed fully. An adult who has gone through significant suffering and comes out the other side transformed with deeper, trusting consciousness, and a greater compassion for the suffering of others is like one who is reborn again with the open, trusting heart of a little child. It is like a rediscovery of a lost kingdom with its own graces and powers. The meaning of the name of the great mystic sage of ancient China, Lao Tzu, is Old Child. It implies that living within the fully realized person is paradoxically the wizened, seasoned and experienced old person who has been through it all and the fresh, open-hearted child, full of wonder and innocence. From my own experience, I believe the Inner Child is often rediscovered, acknowledged and healed under challenging and often frustrating conditions. It happens when something much greater than the ego, call it Soul or the Self with a capital “S,” is aroused itself like an enraged dragon, finding its very being questioned. Any catastrophe such as the loss of a dearly loved friend or relative, natural disaster, or major health issue has the power to awaken and shift deeper energies at the essential energy level of the person. This awakened energy creates irrevocable change. In The Wizard of Oz, Dorothy summed it up perfectly after being sucked up into the tornado, “Toto, I’ve a feeling we’re not in Kansas anymore.” The Kansas of the inner home is no longer there or is so badly damaged that any repair will only be a facsimile or the original. One is left with only the force and consequences of a new power which can be experienced in various ways such as profound emptiness or a terrible energy. This force, aware that its constraining ego cage has been weakened, yearns for freedom. It begins to arouse itself, sometimes roaring and shaking to further tear the already incapacitated ego prison apart. The force initially manifests itself through its own growing pains as it breaks down the shallow sense of self that once had confined it and lulled it to sleep. The dying old self is filled with acute anxiety, anger or depression. 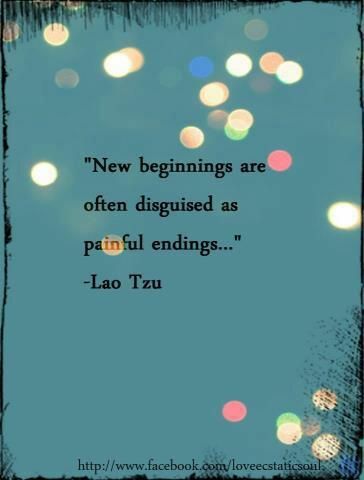 What is ending; what is beginning? If old age isn’t for sissies, then this process that makes one become like a child definitely is not for sissies. Unlike old age, it is a form of weakening deterioration which strikes at the core of how we view and process reality. Some may experience this suffering more acutely than others because everyone’s view and experience of the catastrophe is different. But bad as it is, it is nonetheless the blessing/wounding that can lead to the rediscovery, and recovery of the inner child, and can come as an fitting completion after life changing events. Every now and then, often when things are moving along in steady state, we might have a dream that shows something incredibly and wonderful happening such as coming into a great deal of money or reaching a phenomenal level of career success. The natural inclination of most people I know who’ve had a dream like this is to tell everyone about it because it is such a joyful dream. However, I would caution anyone who has such a dream to not share it with many people, if at all. Write it down and treasure it in your heart. Remember it and be faithful to it, especially if times get hard before the dream is manifest in waking life. 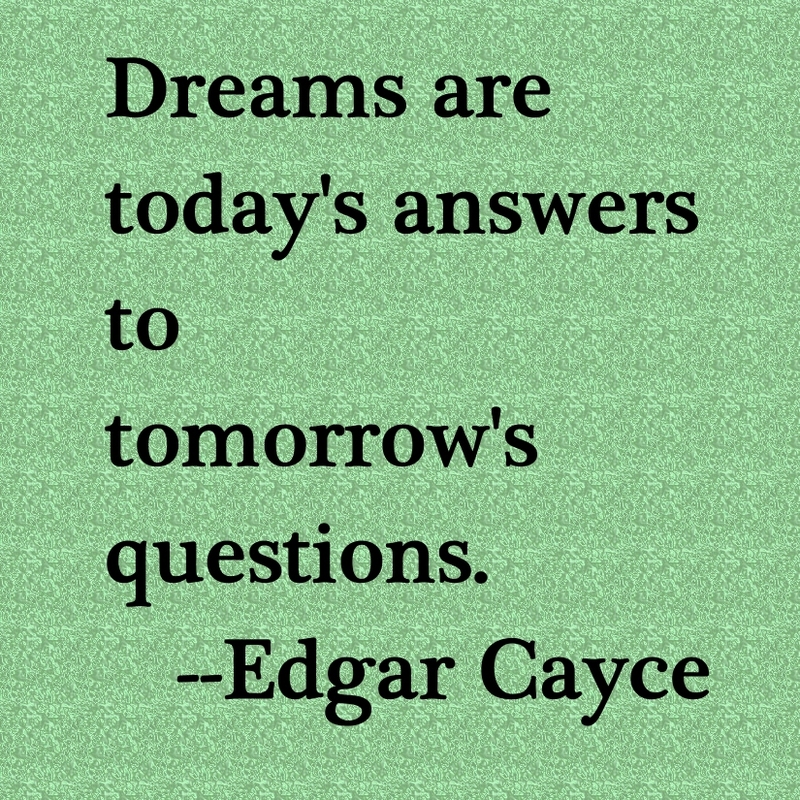 The dream has been given to you for a reason. It most likely is a vision that is preparing you for an amazing journey to the end foretold in the dream. However, that road may include many hazards and potholes—such as extremely challenging obstacles and setbacks—so much so that you may lose hope and forget you had the dream at all. The dream is an inspiring vision meant to keep you moving. The Bible is full of stories of people being led, warned and inspired by dreams. The story of Joseph (Genesis 37: 5-11) is one such story where Joseph has a dream that indicates his older brothers, who are envious of their favored younger brother, will one day bow down to him. Joseph blithely and naively tells his brothers about the dream, antagonizing them all the more. 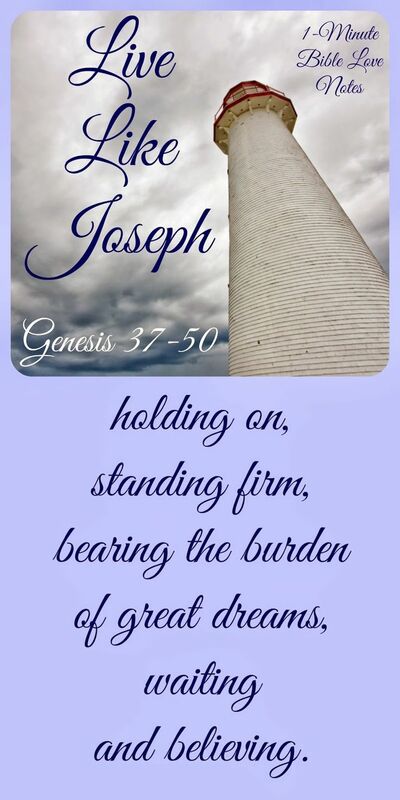 They eventually sell him into slavery and say in Genesis 37: 20, “…We shall see what will become of his dreams.” Joseph has to undergo many ordeals as a slave in Egypt before he rises to the great heights foretold in his dreams. In the end, it happens but at what a price! Wondrous dreams, based on my own experience, seem to happen to me as they did to Joseph. It’s only after years of struggle and faith in their vision, and often the experiencing the ridicule of the many that are envious or disbelieving, that the dreams manifest in waking life. So now when I have such a dream, I tell very few people, and know I am carrying a precious but heavy load.